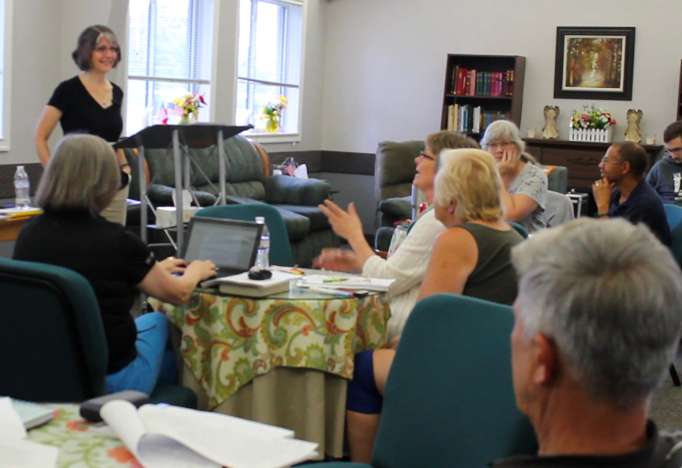 On July 20-21, over 15 people from various GCI congregations came together at Christ Fellowship Church (one of GCI’s Cincinnati, OH, area congregations) for a workshop led by Cathy Deddo. 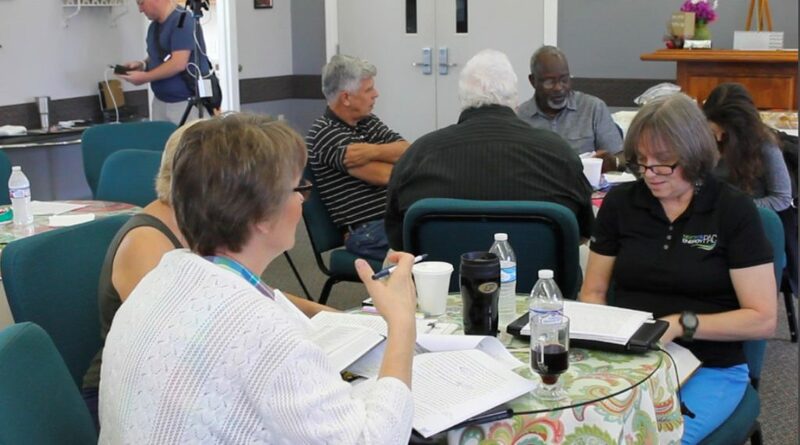 Through individual study time, small group interaction and large group discussions, the group studied seven related passages in the Gospel of Mark. The goal was to help each other listen more attentively to the passages so that each person could grow in their understanding of Scripture and their relationship with the Lord, and also grow in their ability to lead interactive small group Bible studies. The Bible is unlike any other written word. The Holy Spirit, who inspired these writings for our benefit, can speak to us again today in and through these words. As pastors and small group leaders, we want Bible study to feed people’s actual, real relationship with God and to draw us together in Christ-centered fellowship. In expectation of what the Spirit will do in using these words again, we learned how to tune into the message of the biblical author (Mark in this case). We especially focused on discerning the particular questions Mark raised and the particular answers he gave in his Gospel. Sounds wonderful! Would have loved to have been part of the group. Going back to the God inspired Scriptures as a primary discipleship source is so important. Digging deeper for communal and personal application, while being faithful to the original context, is an exciting and very rewarding challenge. Thanks so much for your service in the Lord.